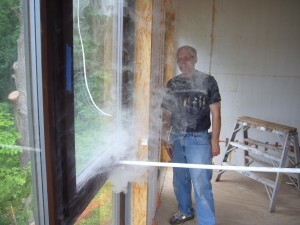 With the help of Gary Nelson of the Energy Conservatory in Minneapolis, we were able to conduct a first series of blower door tests. 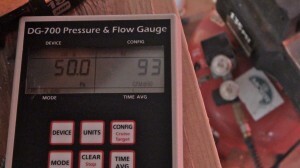 We pressurized and depressurized the building, and used a smoke generator to identify leaks. 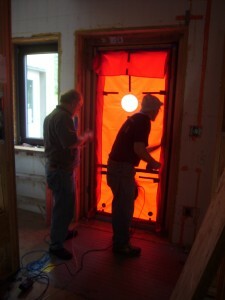 This was an amazing process and helped us gain a great deal of understanding for the little details that make a building air-tight. In the end, the building delivered an average of 0.36 ACH50. 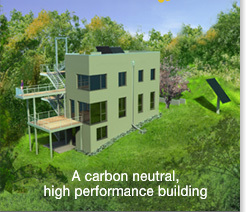 We are excited to have surpassed the Passive House requirement of 0.6 ACH50 during this preliminary test. Wow, that is a shockingly low CFM reading! 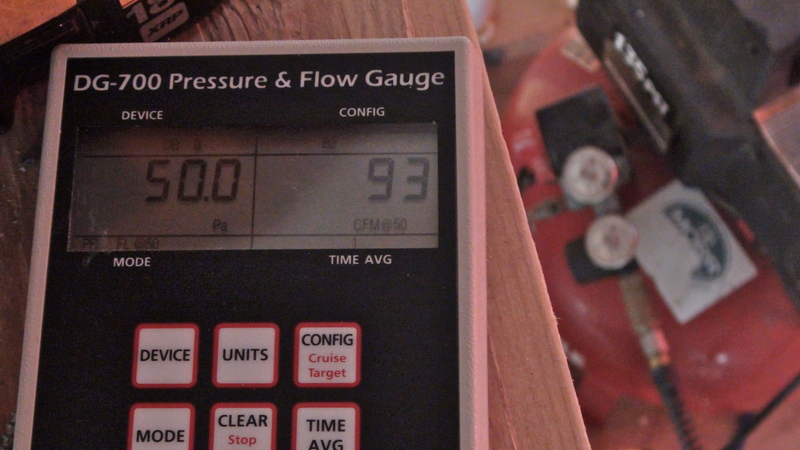 We do residential energy efficiency upgrades and are accustomed to seeing more in the 3,000-10,000CFM at 50PA range. One thing I noticed on your DG700 is that it is set in the DB-B configuration (top left part of the screen). This is the configuration setting for a duct blaster which is used to test duct leakage. For homes this tight, are you using the duct blaster configuration? Gary Nelson did indeed use a duct blaster for the test.